When you think about the epicenter of modern marketing, you think of Google. In 2001, Google helped us reorganize the world's information and made it available in an instant. Companies now needed a strategy to get found. In 2004 Facebook gave us a network of friends to share that information and our experiences with and in 2007, Apple gave us the iPhone - making all of that information and connectivity available in the palms of our hands. Content Marketing has become mission critical for brands who want to found; who want to be heard; who want to breakthrough the clutter - reaching the right people, with the right messages at the right time. It is brave, new "connected" world. 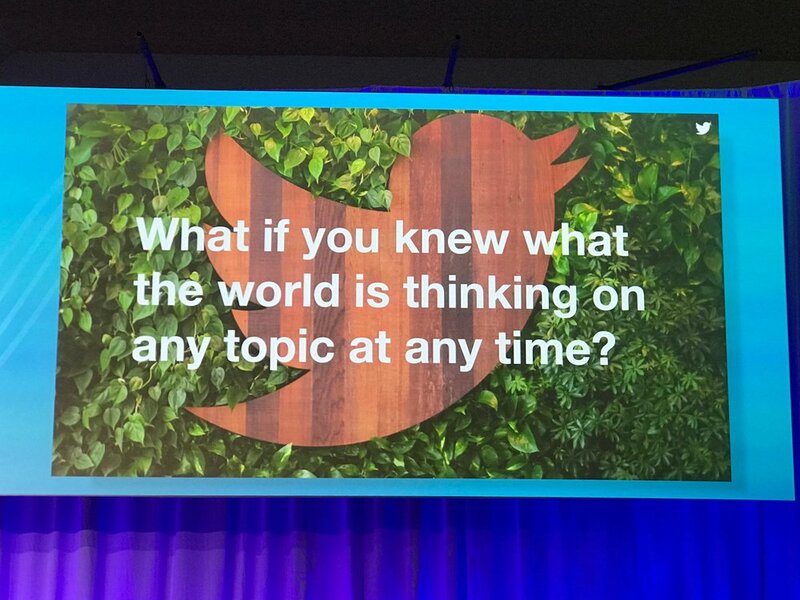 2.8 billion people connected across 24 social channels and the world powered by mobile - How do you help brands navigate that new world order? The key is to acknowledge that there is a place for you (or maybe multiple) in this new world order, and you have to find it. So many brands feel like they have to be everywhere, and it's simply not true. Your brand may not have an organic place in certain social environments, and there's no need to waste time and effort forcing it. Why push a 0 to a 2, when you can spend that time and effort turning a few 6 and 7s into 10s? It's best to invest your time and resources where it will be most beneficial to your brand and your bottom line. Take the time to think about the audience on all the various platforms you're considering, and the typical mode of communication there (photos, text, links, videos, etc.) Decide which is more authentic for your brand to communicate in, and make strategic choices based on that. Once you find the few places where your brand can really thrive, focus your time and effort there, and focus on super-serving that audience with the type of content that fits on the platform, best conveys your message, and brings your audience the most value. There is concern about brands getting lost in a virtual ocean of "content". How can a brand stand out and be heard (or seen)? It needs to be unique in some way, something we haven't seen before. it should be new, first, special or otherwise different. How are the smartest brands using native advertising? So many brands are great at producing content, and they may think they don't need a publisher partner to help, but it's not just the storytelling abilities that publishers can offer. Smart brands realized that a publisher partner can provide other value for a content campaign too. First, publishers have access to a targeted and engaged audience that a brand may not have been able to amass themselves, or to reach otherwise. Second, publishers have an incredible amount of data about that audience and experience in communicating with them, which can help them optimize content and the ads that drive traffic to it in a way that an outsider might not be able to. Third, smart brands know that the same content carries more weight when it's distributed by a publisher we know, like and trust; By partnering with a publisher their audience knows and trusts, a brand can ensure that their quality content is going to reach and be well received by their target audience. How important is data to effective content marketing? Data is absolutely vital to content marketing, as it is to any other type of marketing. The best content strategies don't see content as a "one-and-done" experiment, but part of an ongoing campaign that will require reflection, analysis and optimization with each new content piece, distribution tactic or phase of the campaign. If you're not clear on your KPIs from the beginning, and measuring for the right indicators of success, you won't be able to measure the impact of your content campaigns, or to make any necessary adjustments to ensure continued and increased success moving forward. What are the top trends you see in 2018? It's always hard to predict what's coming next, especially when there are so many developments in formats, social and technology, and when brands are at varying degrees of adoption of those. But when it comes to content, and native brand integrations, I'm excited to see how brands are organically integrated into new apps, chat/messenger experiences and VR. Celebratory Cocktail? I don't drink, but I love a good coffee for almost any occasion! Proudest Accomplishment? The "Women Inmates" piece I wrote for Netflix and Orange Is The New Black at NYT was among the top 2% of content published on nytimes.com in 2014. The brand to watch for great content marketing? I think Starbucks does a pretty stellar job across platforms. Melanie Deziel is brand storytelling speaker and native ad consultant. She is an @INC columnist. She is an FDU Professor and founder of the @overlapleague newsletter. Brand Storytelling Speaker & Native Ad Consultant. @INC columnist, FDU professor & founder of @overlapleaguenewsletter. Former Editor of Branded Content @ NYT. You can find her here on Twitter.